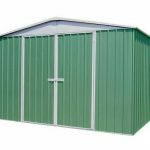 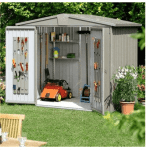 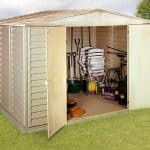 This 10 x 8 metal storage shed is a wonderfully practical addition to your garden. 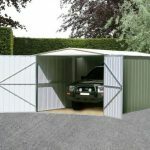 Spacious enough to store most items, you can easily use it to still taller items as well as shorter items, simply due to the fact that there is a generous apex roof. 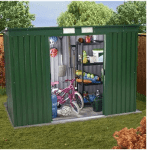 Crafted using the very finest metal available today, the unit also benefits from a 25-year manufacturer’s guarantee. 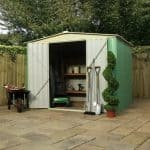 This brings you immense peace of mind as you continue to use the unit for many years to come.